Country living with plenty of community. 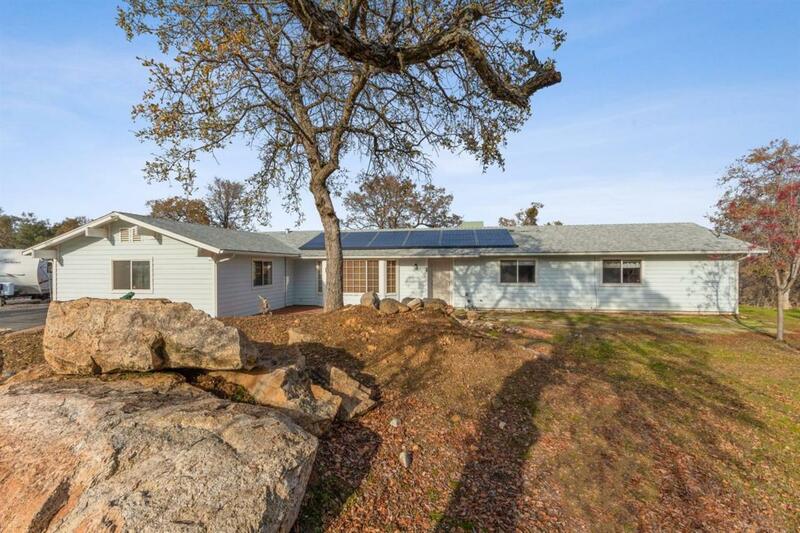 Located in YLP, this great home sits on just under 2 acres. The rolling hills and magnificent oak trees provides a fantastic setting. Immediately as you enter the home, you feel the open concept. The living room flows into the dining area where there is a great pellet stove perfect for keeping warm in the winter. The kitchen has black electric appliances, tile countertops and views into the back yard. Throughout the main section of the house there is laminate flooring. Off the kitchen is the practical indoor laundry room. The master bedroom and bath are spacious with a double sink vanity and overhead ceiling fan. The backyard has a patio cover, concrete seating area, and a fenced section perfect for pets. There is a two-car garage with extra working space. The asphalt driveway lenders itself perfectly for great RV storage. Schedule and appointment today!